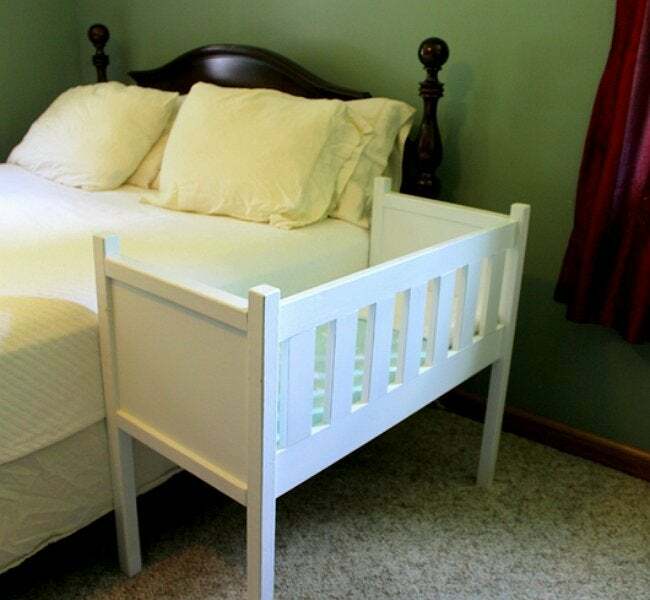 Want the perfect place for a new baby to bed down? Rest easy by constructing one of these handsome—and handmade—cots for your tot. 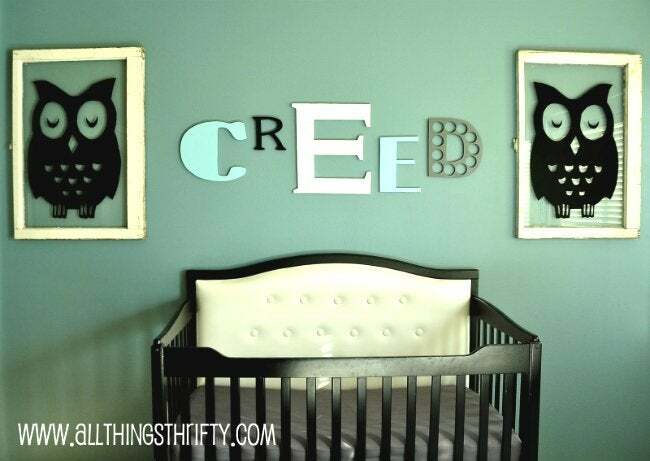 Whether you’re a parent-to-be or simply wish to give a new mom and dad something special, consider crafting a DIY crib. Here, you’ll find designs and directions for four wonderful (and wonderfully sturdy) woodworking projects, plus a way to spruce up a bare-bones, store-bought crib with a handmade headboard. Your results will be as safe and solid as they are unique and charming, so that incoming bundle of joy will be snug and secure. 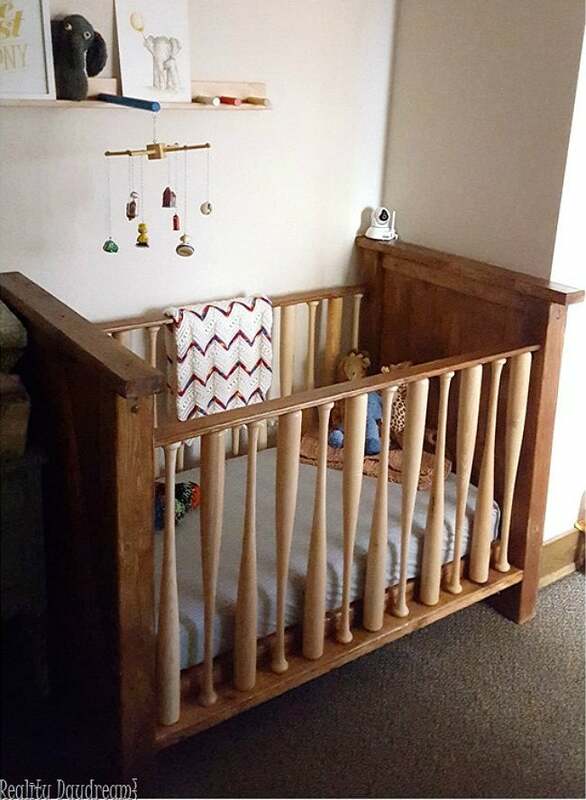 With just a few select materials and a little ingenuity, you can custom-make the crib of your dreams over the weekend. Pick the project that suits you best, and then just add lullabies! 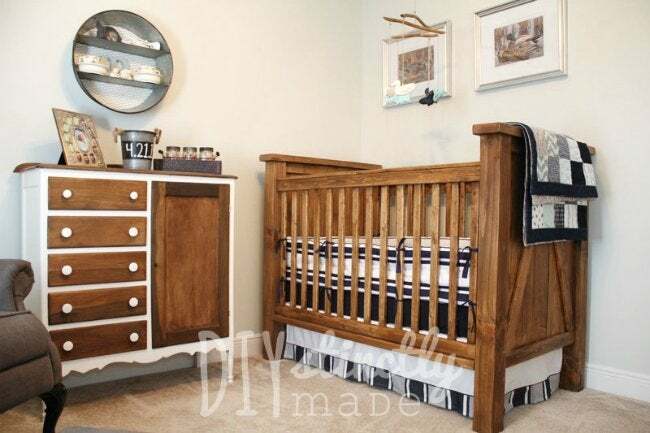 For a crib to suit a farmhouse-style nursery, check out these detailed plans from the budget-minded twosome behind DIYstinctly Made. The frame, constructed from humble pine boards, evokes a distinctly rustic feel thanks to the V-shaped design of mitered side planks attached with wood glue and finish nails. After building the crib, forego potentially harmful chemicals and seal it with an earthy, all-natural stain-and-polyurethane combo. Segueing from a crib to a toddler bed can be monumental for tots and parents. But this easily disassembled DIY design from woodworker extraordinaire Matt Cremona can ease the transition with a mattress platform that lowers as your child grows. 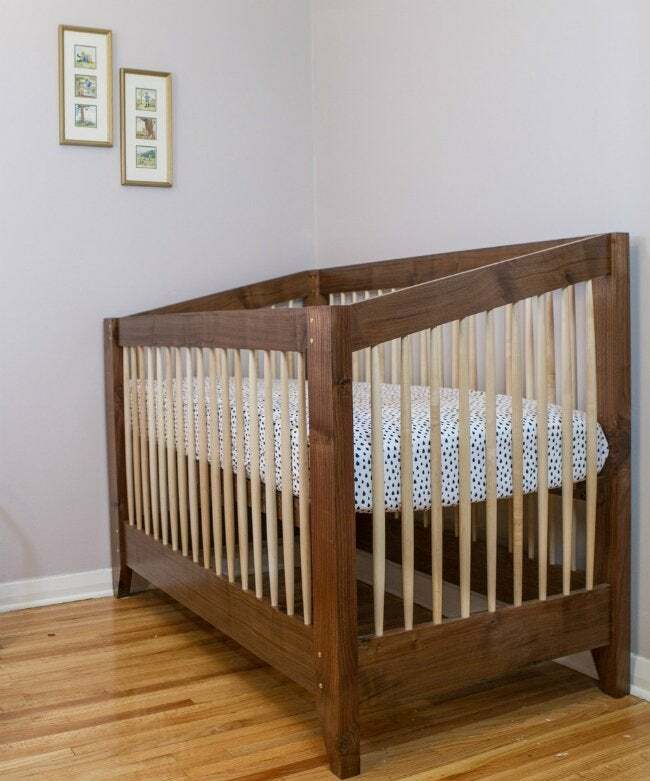 From first night home to first words, your precious cargo will be safe and sound in the crib’s warm walnut frame, accented with maple spindles and angled sides that lend the lofty crib a modern yet down-to-earth feel. Babies who sleep within their mother’s reach may settle more quickly and even grow up to be more independent, but letting Baby sleep in bed with you is discouraged by medical experts and considered dangerous. The solution? This pretty ivory co-sleeper that fits alongside your bed, the brainchild of the blogging mother at Rebecca’s Garden and Homestead. Easy? Well, Rebecca put it together while eight and a half months pregnant! All it takes is pre-cut and drilled scrap wooden boards—enough for the front, sides, legs, and railing guard. Securely bound on three sides, it offers you easy access to your sleeping beauty. Hit a home run for your little one with this ingenious baseball-inspired bed. Designed by the cute couple bloggers of Reality Daydream, the sporty sleeper repurposes 24 blemished baseball bats for its railing guard, inexpensively sourced online from a bat factory. The rest of the DIY crib itself consists of economical pine wood boards assembled into a frame with screws and wood glue. If a woodworking project isn’t within your bandwidth right now, why not dress up a plain crib—be it a hand-me-down or a store-bought basic—with a cute and comfy headboard? The bright blogger at All Things Thrifty traced a pattern to mimic the shape of her existing crib, then cut MDF board to the exact length and curvature. The tuft stuff was sourced from an ordinary mattress topper, adorned with fabric buttons and simply stapled in place. Plush, stylish, and costing just over $40—talk about starting a kid off with an appreciation for affordable luxury.